At Microsoft Ignite in September 2017, Ryan Jones (@rjmax) discussed Azure Resource Manager Policies and some enhancements coming soon. See this blog post about the public preview announcement. One of those, was Policy Sets. Policy Sets allow you to group several policies together and assign them as a group. There’s more information at http://aka.ms/azurepolicy. In this blog post, we’re going to explore how to start using them. Deny deployment if Storage Account Blob Encryption is not enabled. 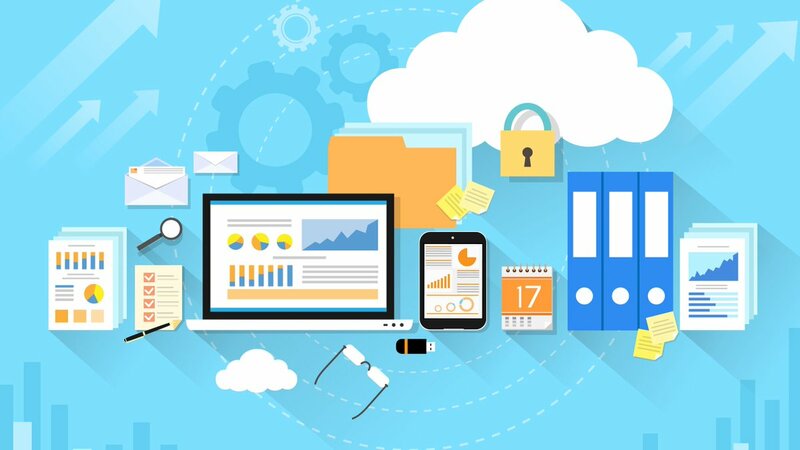 Deny deployment if Storage Account File Encryption is not enabled. Deny deployment if Storage Account https-only transport (secure transfer required) is not enabled. The first thing we need to do is get the Policy Definition Id’s. We need the Policy Definition Name to get those. Here, I’ve looked up the names and created an array of the Policy Definitions that I want in my new Policy Set. Next, I’m going to loop through those and get the Policy Definition Id and store it in a variable called $policyDefinitionId. Since I need to loop through each Policy Definition now, I’m also going to construct an object called $policySetDefinition which we’re going to use later. DisplayName = "Storage: Policies to enhance security of Storage Accounts." Description = "This initiative contains several Storage Policies to be applied at the subscription level." Notice that this command takes the $policySetDefinition we created earlier into the PolicyDefinition parameter. Now that we’ve created a Policy Set Definition, we can assign it. For this example, I’m going to assign it to my Subscription but I need to exclude two Resource Groups. With the new policy language, that’s pretty easy to do. We are also going to define the Sku. The Sku is an object consisting of a name and tier. I’m going with Standard here because I want to enforce this policy set on existing resources. If you only wanted to enforce the policy set on new resources, set this to A0 and Free. 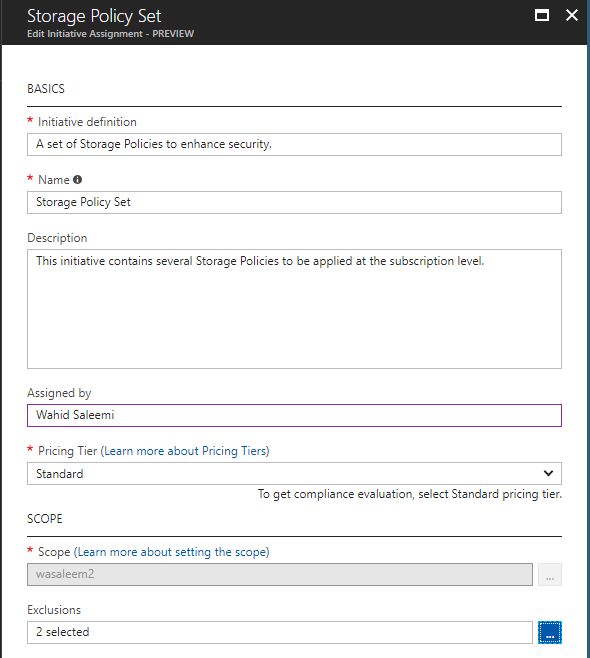 $ExcludedResourceGroup1 = Get-AzureRmResourceGroup -Name "rg-aad"
$ExcludedResourceGroup2 = Get-AzureRmResourceGroup -Name "securitydata"
DisplayName = "Storage Policy Set"
Helpful post as this blog post written with so many information with the screenshots about ‘azure policy sets’. Also, I thank you so much for providing us the related resource links, relevant blog post link, etc. in between this post. The screenshots that you’ve provided above, it looks like a very professional, awesome map with an explanation and so, I didn’t feel as this post is too technical for me. Thanks!